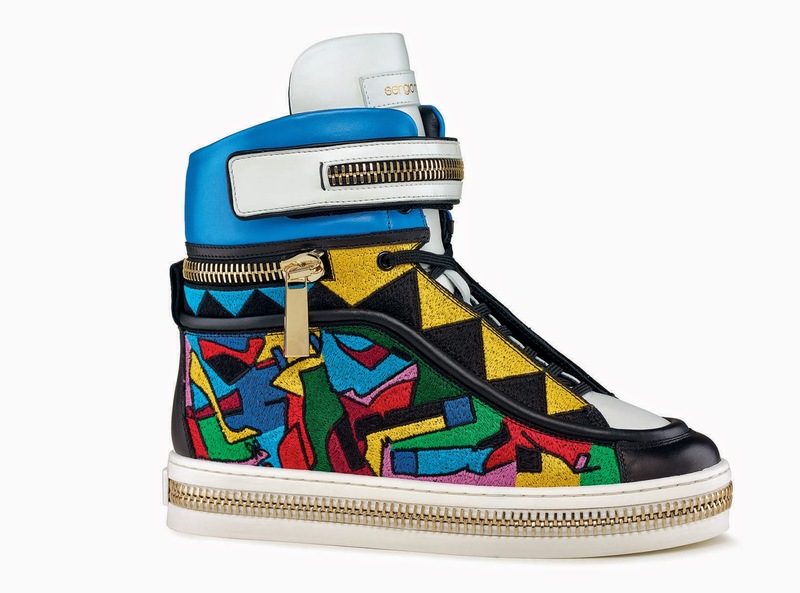 In the wake of the Nike x Riccardo Tisci tornado, Sergio Rossi is introducing some funky fashion sneaks too. The brand has taken inspiration from the Arte Povera movement, better translated as art of po' folks, which was basically in the late 60s, early 70s, when artists -- gasp! -- went all anti-establishment in their oeuvres. Translation: lots of colourful craziness. Pre order at Sergio Rossi.